Home » Undergraduates » Why Study Philosophy? Thinking about studying philosophy, but unsure if it's for you? Whether you are interested in philosophical topics, looking to develop critical thinking and writing skills, seeking an advanced degree, job, money, or simply a great experience, philosophy has a bit of something for everyone. Why should you study philosophy? Do it for the skills. Do it for an advanced degree. Do it for a job. Do it because it's a great experience. Find out more about majoring and minoring in philosophy at Ohio State by checking out our Academic page or contacting our Director of Undergraduate Studies, Professor Lisa Shabel. 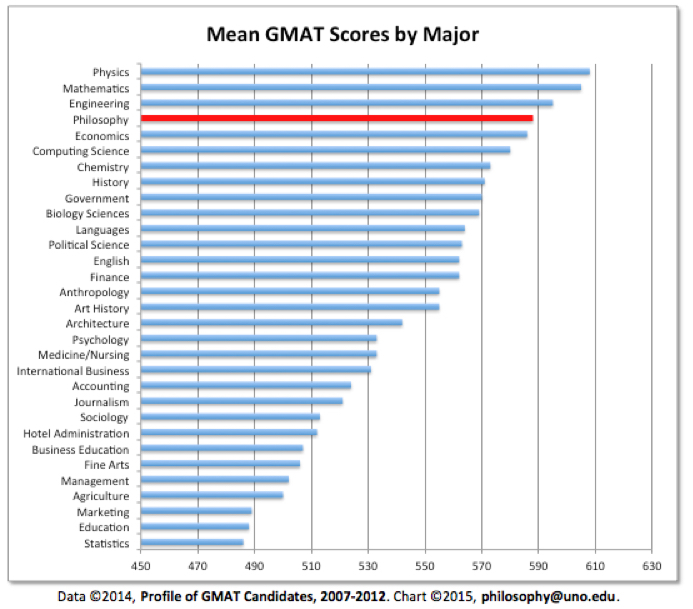 The number one reason to major in any field is INTEREST in it. College is a time for discovery, for learning, and for expanding your horizons. If you are interested in what you study, you will excel and thrive in your classes. If you have an interest in questioning authority or interrogating your assumptions, philosophy is for you. If you like to think about right and wrong, and how one ought to behave, philosophy is for you. If you are fascinated by language and logical argumentation, philosophy is for you. If you have questions about the scientific method and what really counts as an explanation for a phenomenon, philosophy is for you. If you are intrigued by the mind, how it works, what consciousness is, whether we behave freely or are determined to act, philosophy is for you. If you find yourself wondering about the origins or extent of the universe, or the existence of God, philosophy is for you. If you enjoy reading and studying the great thinkers through history, such as Plato, Aristotle, Descartes and Kant, philosophy is for you. Although it is important to be passionate about what you study, you will want to be practical, too. Luckily, philosophy leaves students with a set of SKILLS that are applicable in any work environment. Whatever the course, philosophy teaches students to ASK QUESTIONS. Of course, philosophy students learn what famous philosophers think. However, in a philosophy course, students do not only learn about philosophy, they learn how to be a philosopher. Philosophers ask the tough questions: what is the meaning of life, how should I live my life, where did the universe come from, does God exist, what is truth? As a philosopher, students learn to make progress on an idea by approaching topics with an inquiring mind. With so many questions on the table, philosophers need a strategy to make progress. When scientists raise questions, they have a method for discovering an answer: empirical study. However, the questions philosophers ask are not generally suited to empirical study. Thus, philosophers have their own method: reasoning. As philosophers, students are taught HOW TO THINK CLEARLY about arguments and views. Philosophy courses develop a set of analytic reasoning skills that allow students to critique views, develop logical arguments, and make progress towards answering difficult questions. Philosophy students then learn to ARTICULATE their views and the reasoning behind them, both verbally in classes and in writing. Students learn that they need to present the best version of their opponents’ views before evaluating them. They learn to assess their own view with an objective eye. Philosophy students learn to be careful with their language, and the importance of clarity. 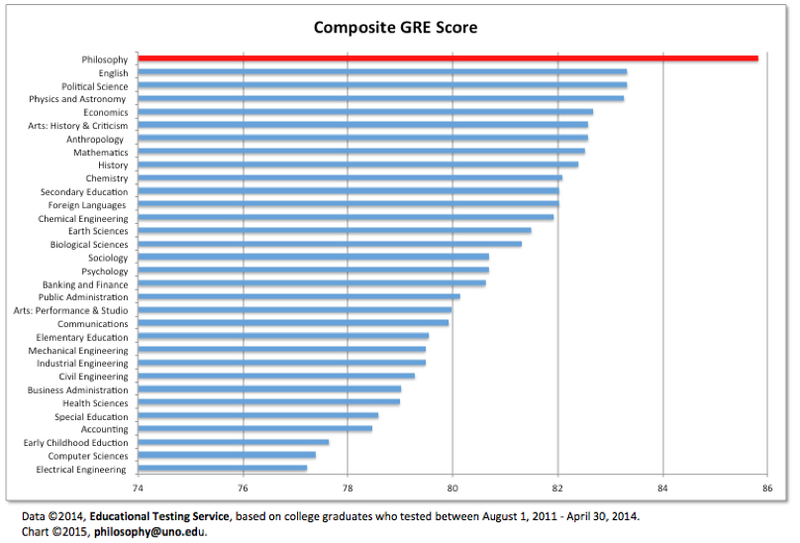 Philosophy majors excel in testing and admissions for all sorts of advanced degrees. From medical school to business school, philosophy majors are leading the way. Philosophy teaches students analytic and writing skills that are not always emphasized in science courses. Moreover, fewer philosophy majors apply to medical school, giving them an edge over “just another biology major” in the eyes of admissions committees. 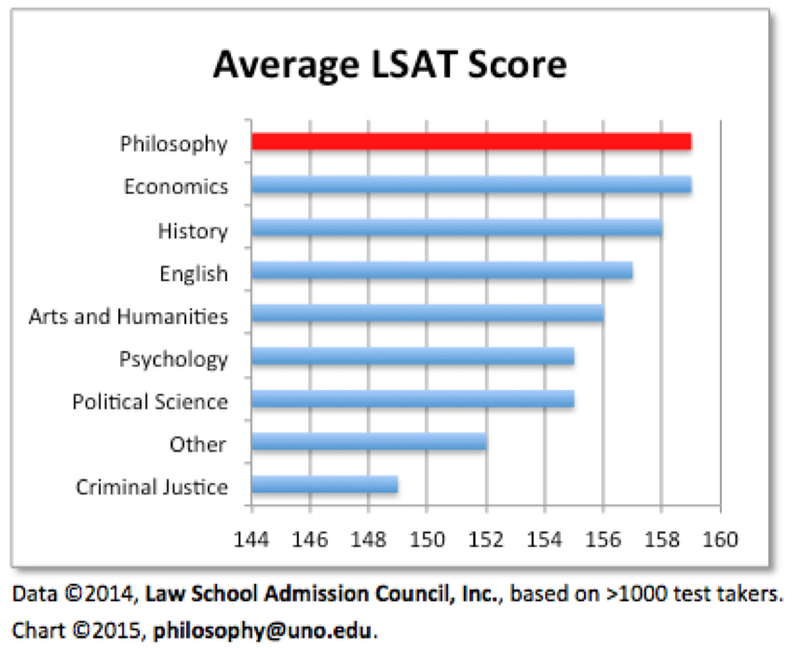 The LSAT assesses analytic reasoning skills, which is exactly what philosophy courses aim to develop, both verbally and in writing. Philosophy courses emphasize reading and writing, which bolsters both the verbal and writing sections. Moreover, the writing section of the GRE focuses on analyzing arguments, which is the exact kind of writing that philosophy courses teach. Finally, the quantitative section focuses on math that is best solved through logic, another skill developed in philosophy courses. More and more fields are coming out in favor of a philosophical education due to the skills it develops in students. It’s not just business. Check out this group of Philosophy Majors, including Pope John Paul II, Alex Trebek, Ricky Gervais, and Angela Davis. Learn more by checking out Best College's career guide for philosophy majors. Studies show that philosophy majors have terrific earning potential, earning more than you might expect. Do it because it's a great experience (or so say our alumni). We asked a number of recent philosophy graduates what they were up to and how their philosophy major contributed to life after college. See some of their responses here. Find out more about majoring and minoring in philosophy at Ohio State by checking out our Academic page or contacting our Director of Undergraduate Studies, Professor Lisa Shabel. And read more about what makes philosophy such a great major, here.